When living in a tropical island, you tend to run out of names for the many shades that you come across along the coastline. Turquoise, aqua, sapphire, deep blue, green – these are just some of the colours your eyes get accustomed to when travelling in Sri Lanka. It is a little known fact that the Colombo coastline is a great place for wreck diving. There are nearly a dozen wrecks to explore, ranging from the World War I Armed Merchant vessel to a more recently sunk ship. In addition, Colombo is a great place for seeing reefs too: the Gorgonian Gardens and the Taprobane Reefs are some of the best examples. Gaining popularity since the 1970s due to Geoffrey Bawa – Sri Lanka’s famed architect – designing Bentota Beach Hotel, Bentota is a coastal town in the southern region of Sri Lanka. Scenically located next to the Bentota River, this beach stretch is a renowned place for water sports. 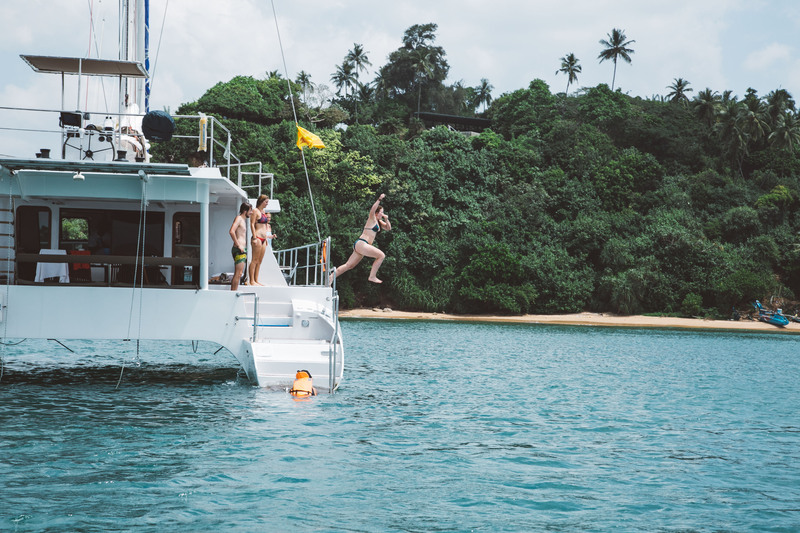 Whether its jet skiing, water skiing, fishing or river cruises, Bentota offers it all. The area is also well-known for Ayurvedic treatments and has several hotels that are dedicated different therapies. Located just an hour along the south coast from Colombo, Hikkaduwa and Unawatuna are known for surfing and pumping music! The two beaches are fringed with vibrantly-coloured cafes, eateries and chill out spots bursting with activity. There are many surfing schools where you can get lessons. 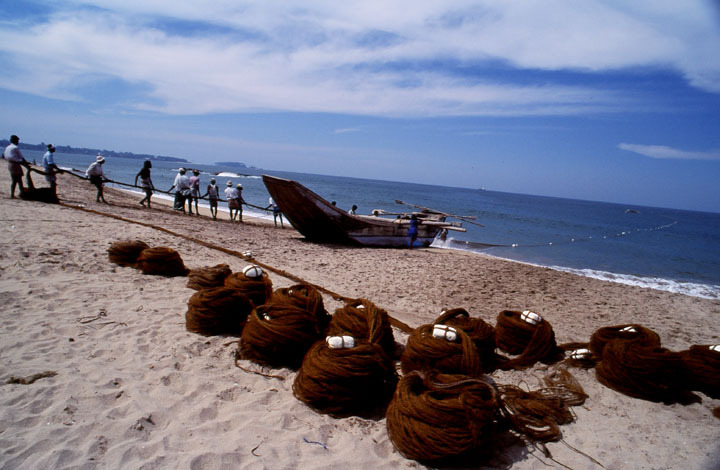 Hikkaduwa is also a great place for deep sea fishing. Best time to visit: November to April. January, February and March are the best months for this beach. With clear turquoise blue waters, Weligama and Mirissa are yet another southern favourite. 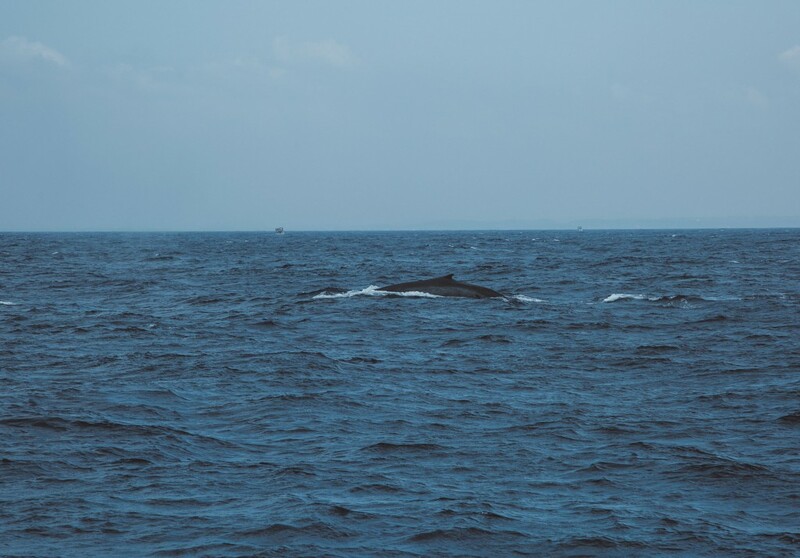 Apart from being a good surf beach, the shores are a great place to catch a glimpse of a variety of marine life, including rare blue whales, sperm whales and spinner dolphins. Mirissa is also a trendy stretch for extravagant beach parties. Hidden in the Deep South, the beach stretch from Matara to Tangalle offers stunning images of the ocean and is considerably quieter than the rest of the south. With beautiful hidden bays and miles of isolated beach stretches, this region is perfect for those who enjoy the quieter side of beach life. Make sure to visit the turtle hatchery in Rekawa when you’re not working on a tan. 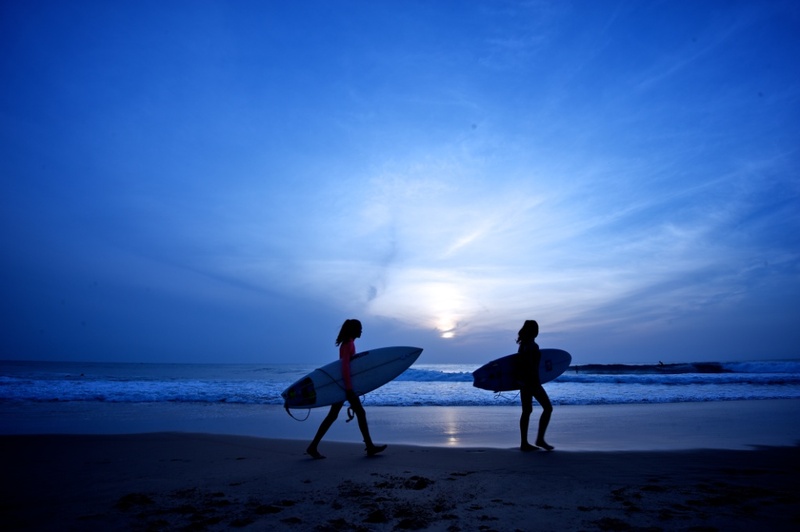 Located on the east coast of Sri Lanka, Arugam Bay is recognised as one of the best surfing points in the Asian region. Discovered in the 1970s, the area has gained immense popularity over the decades. Arugam Bay is home to a number of quality surf breaks, including Main Point, Whiskey Point, Pottuvil Point and Okanda, which have attracted surf enthusiasts from all parts of the world. Known as one of the longest shallow coastlines in the world, Pasikudah is famous amongst local and foreign travellers alike. Pasikudah Bay is home to scattered coral communities and a shallow coral reef towards the outer bay, which is connected to a similar reef system in Kalkudah. It is identified as one of the best-known reef systems in Sri Lanka and has been proposed as a Marine Sanctuary. Batticaloa, a 45 minute drive south of Pasikudah, is a treasure trove of ships wrecks making it an excellent spot for diving. 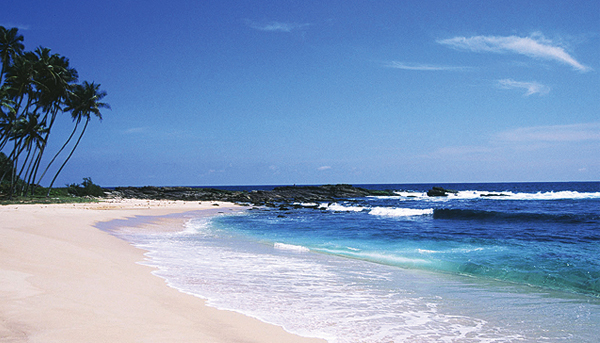 Located north of Pasikudah, these crystal blue shores are renowned for calmness and a laidback attitude. Regarded as some of the best beaches in Trincomalee, the region is known for whale watching and snorkelling, especially around Pigeon Island – the marine life in these waters includes the elusive Blue Whale. The area is also a great diving spot as there are several hidden wreck sites and reefs. Located in the North West coast belt, Kalpitiya is an area with dark blue waters complemented with dark brown sand. The long stretch of beaches are quiet and calm and home to spinner, bottlenose and Indo-Pacific humpback dolphins, whales, sea turtles and the mysterious dugong. Bar Reef, one of the largest reefs in Sri Lanka, is also located in Kalpitiya making it a perfect site for snorkelling and diving. 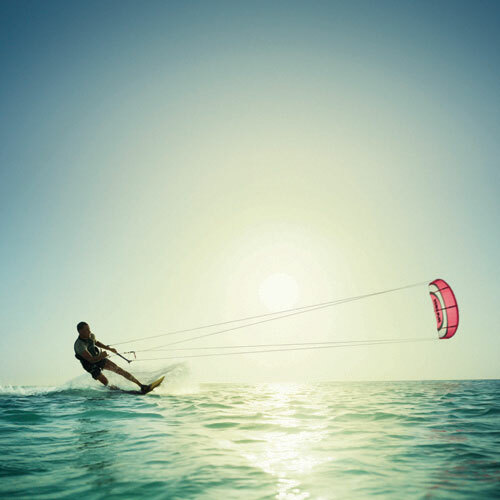 Aside from that as a result of its unique location, it also has the right wind conditions for most of the year for kite-surfing, which has gained much popularity in the last few years. This is usually the introduction to Sri Lankan beaches for those who visit the island for the first time. 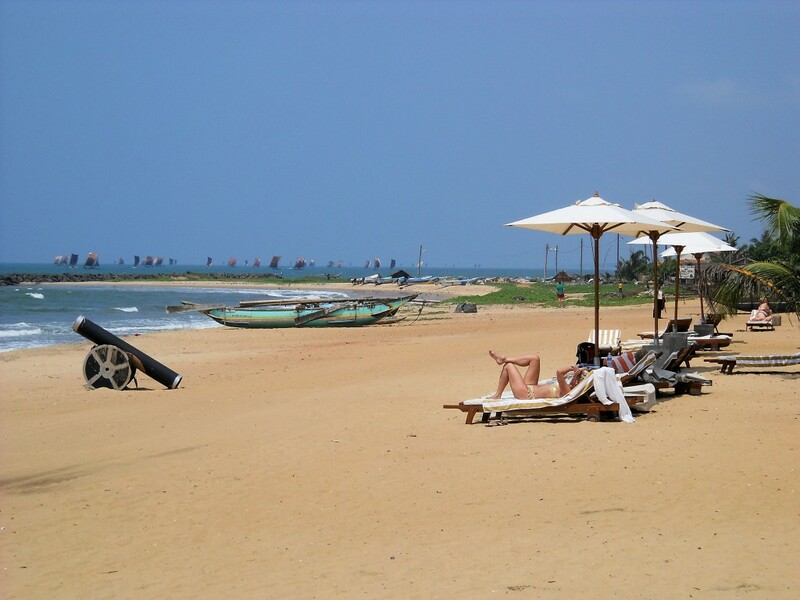 Offering some of the finest beaches in the west coast, Negombo is a hot spot for tourists. It is home to the second largest fish market in the country, so make sure to try out some seafood dishes during your stay. Water sports and diving are quite popular in these waters. I totally agree Passikudah being one of the top 10 beaches sri lanka. I stayed https://www.amayabeach.com/ last month and the view of the Passikudah beach couldn’t have been more mesmerizing. Simply loved it! definedly agree with you, because this beaches are very beautiful…. There are so many beautiful beaches in Sri Lanka. Pasikuda Beach was my favourite! @Cindy Agreed, I stayed in Amaya Beach too. It was an amazing place to relax and the rooms have a breathtaking view (https://www.amayaresorts.com/amayabeach/en/hotels-in-pasikuda). The staff were very friendly and the facilities were good too. There are so many beautiful beaches in Sri Lanka. Sri Lanka is filled with many beautiful beaches, The list is spot on with the best beaches in Sri Lanka. Negombo was one of my favorite beaches not because of the beach but because of the many water sports and activities available. We stayed at Club Hotel Dolphon which was perfect for a relaxing stay by the beach. It wasnt too far from the airport as well so travelling was easy. You could check the hotel out here.